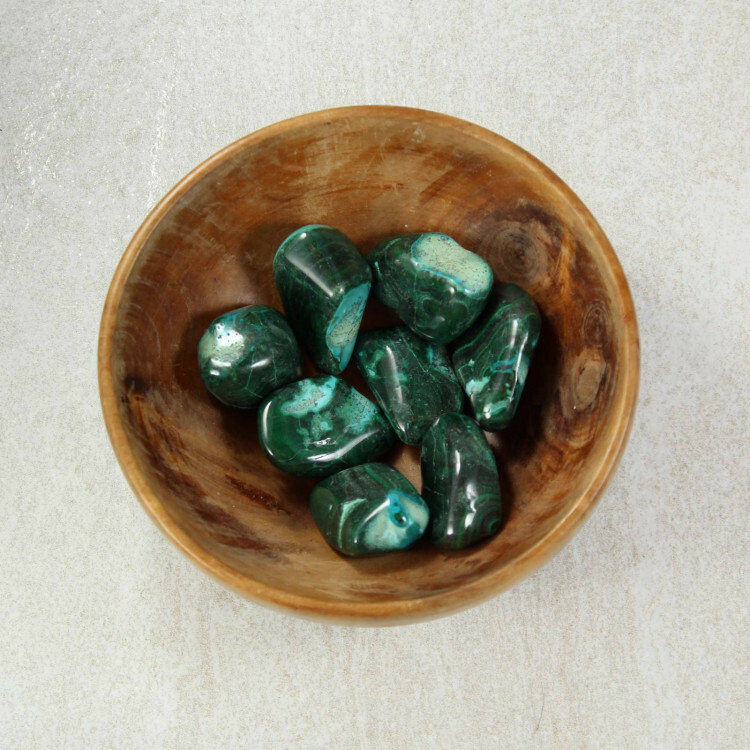 Tumbled Malachite and Chrysocolla pieces, a gorgeous blue and green stone. Small Malachite and Chrysocolla tumblestones, a gorgeous mix of the green and blue stones. These are a good grade and are nicely rounded. Because of their gorgeous green and blue colours, they will contrast nicely with blacks and darker stones. They’d look pretty great in a display with other greens or blues, too – perhaps a display of various Copper ores? As copper containing stones, these are not suitable for use in places where they would be in contact with water – aquariums, fish tanks, etc – as there is a possibility of contamination. Our stock levels of these pieces can be quite sporadic, so apologies if we run out of stock. They’re not a common stone to find at this price! 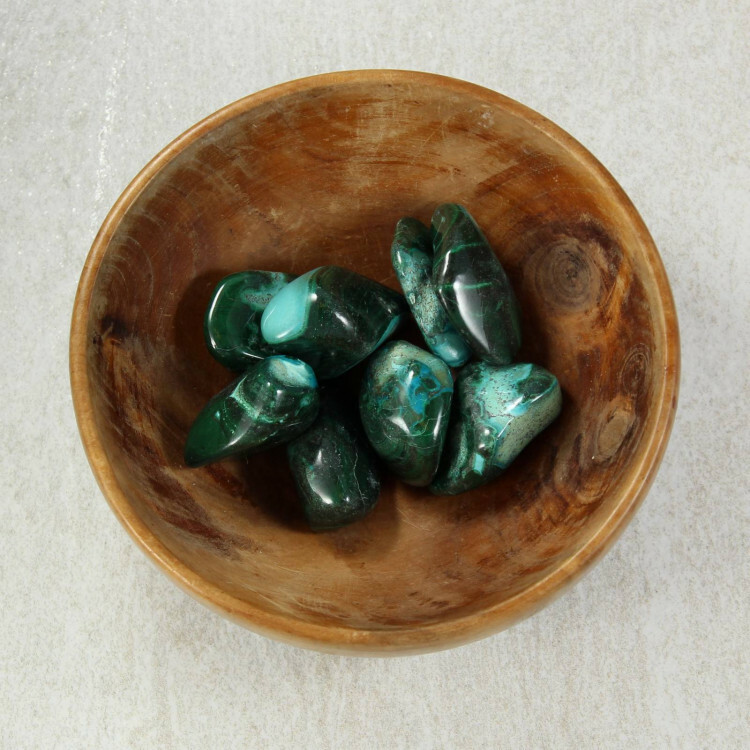 For more information about Malachite, and a full list of all our related products, please see our main ‘Malachite’ page.